Stretched over a kilometre, Paharganj is a bargainer’s paradise. The entire main bazaar is full to the brim with handicrafts, textiles, wooden statues, cushion covers and more. We get you some of the cheapest yet quirkiest home accoutrements that will definitely add that spark to your homes - get the scoop! 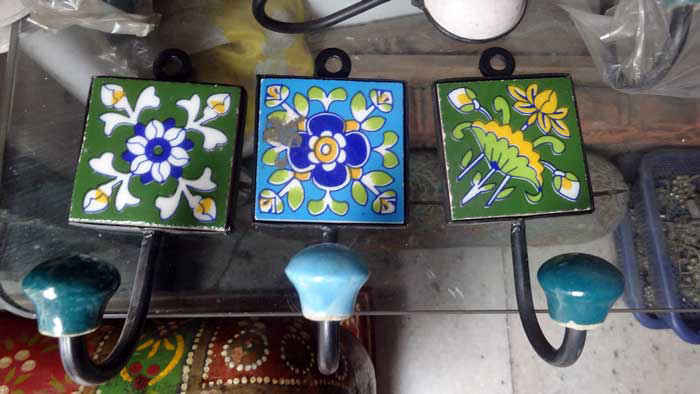 Well if you’re utterly bored of those old, rusted and horrible looking nails or those regular plastic hooks in your room, then here’s your chance to grab these colourful and artistic hooks that will instantly beautify your otherwise boring wall. Get them home at as low as Rs 40! 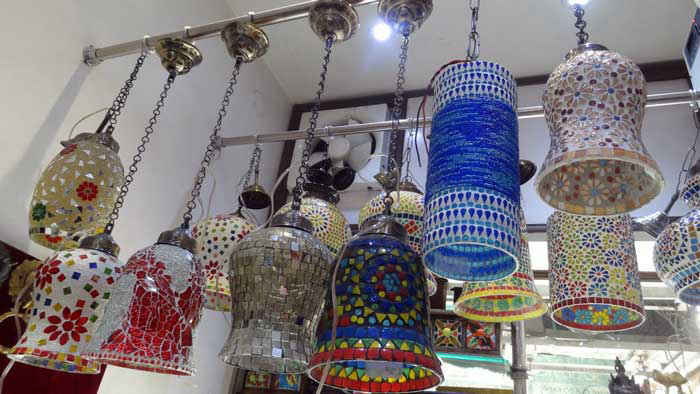 For all those Rajasthani and minute mirror-work lovers, Paharganj will turn out to be a real treat to your eyes. You will find all sorts of indie prints here on things that you wouldn’t have even imagined. 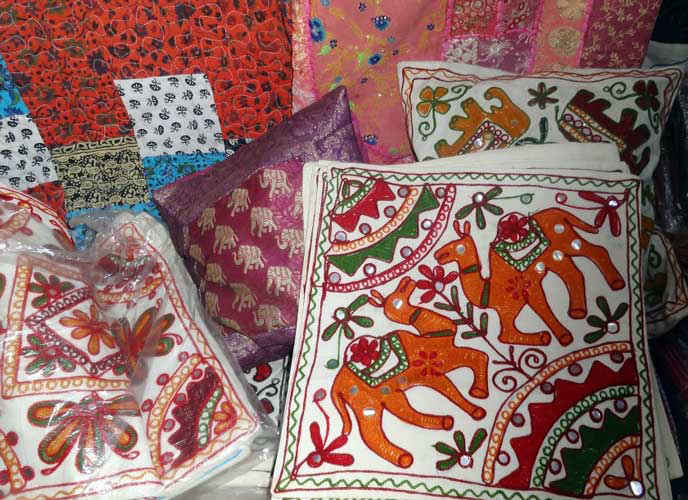 For instance, check out the bright coloured camel and elephant printed with mirror-work on cushion covers. Make them your own at just Rs 100. 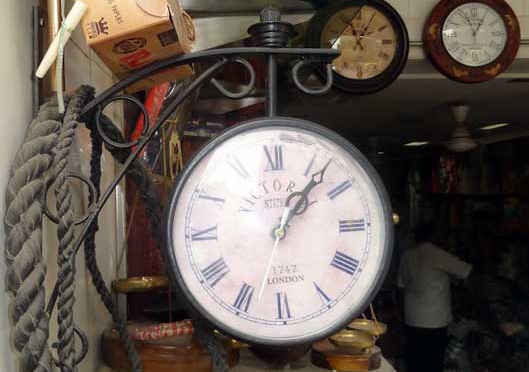 If you’re charmed by all that’s vintage and retro, well then have a look at this vintage clock that can be yours at an amazing price of Rs 300! It will be perfect to add a touch of vintage charm in your kitchen or living room. Look no further than this vintage clock to grace your home with old-fashioned accoutrements. Brighten up your space with decorative ceiling lights and lamps that are fit for your living room, kitchen and bedrooms. Carved with beautiful coloured stones and small mirrors, these will instantly transform your space into an inviting and lively abode. You can get them in various sizes with prices start from Rs 100. Want to make your house feel extra cosy on those cold winter nights? Here we have just the place to buy the tealights and the candle holders to add a subtle glow to your homes. 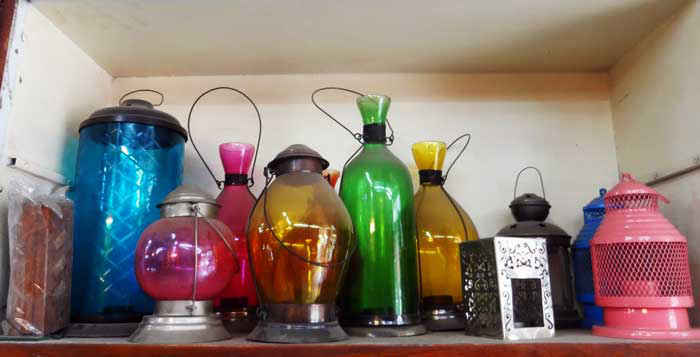 As the pretty dusk beckons, these tealight holders will add all the drama you want, and just for Rs 75! 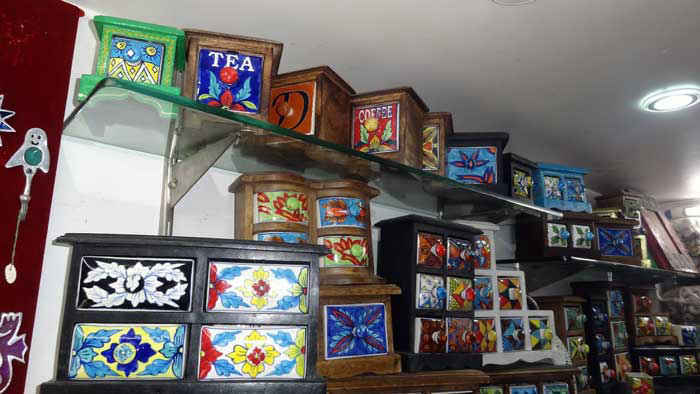 These beautiful hand painted knick knack boxes in eclectic designs can make for a great addition to your coffee or dressing table which can hold a motley collection of stuff like medicines, notes or jewellery. A must-have to transform a busy household into a pretty one, own them at prices starting at Rs 100. 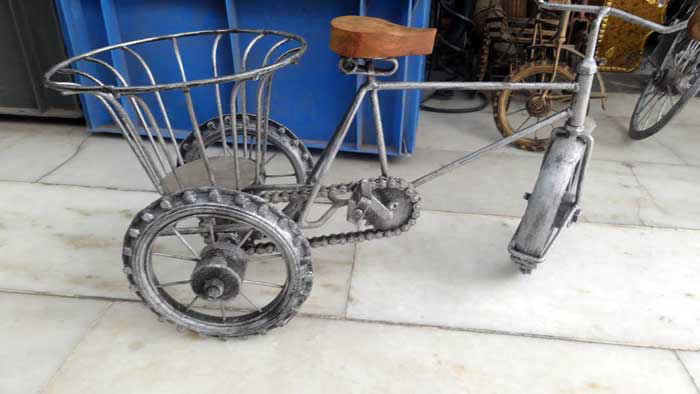 This uniquely styled bicycle may look like a normal show piece but voila! - it’s a flower-pot-holder in disguise. Place it on your office desk or your kitchen slab or transform those little corners of your room that have been empty since time immemorial. They are available at Rs 250, but do put those bargaining skills into use and get them at an even lower price!